Open Letter to District Attorney Machen Jr.
555 4th street NW Washington, DC 20530. We are contacting you on behalf of the Solidarity Movement for a New Ethiopia (SMNE), an international social justice organization; committed to defending the rights of Ethiopians both in the Diaspora and within Ethiopia. 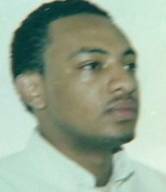 We want to alert you to our serious concerns regarding the recent violent assault and subsequent death of a 27-year-old Ethiopian man, Ali Ahmed Mohammed, in Washington D.C. on October 15, 2010 at the hands of the owner and four employees from the nightclub, DC 9. We do not defend Mr. Mohammed’s own actions that caused property damage to the DC 9 nightclub, but believe those reportedly involved in his brutal and horrific murder should be held accountable under the law of the United States of America. Instead of calling the police and letting the courts decide on the outcome, reports indicate that the owner and four of his employees from the DC 9 nightclub chased Mr. Mohammed down the street, threw him to the ground and then beat him and brutally stomped on his head and body. He died only 45 minutes later. What began as property damage to a window by Mr. Mohammed, led to a savage five-man gang assault against this one unarmed man. We in the Ethiopian community are not only saddened by the loss of this man, we are also deeply disturbed by your office’s decision to amend the charges from Second Degree Murder to Aggravated Assault, despite the police reports and eyewitnesses that closely connect this brutal assault to Mr. Mohammed’s death. We would first ask why these charges were reduced; hoping that those original charges will soon be reinstated; however, if they are not, we would ask for an explanation. At the same time, we highly encourage your office to carefully follow best practice in regards to all aspects of the investigation, medical examination and the prosecution of this highly sensitive case. Rumors are already circulating regarding the alleged political connections of the defendants that some believe account for the reduction of the charges to aggravated assault instead of second degree murder. We believe that transparency and rigorous adherence to the law can quell any suspicions; including concerns among Ethiopian Americans that somehow, his death will be attributed to other causes. 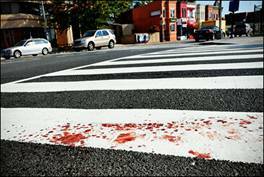 Yet, as one can see from the picture above, the evidence that the attack was violent and vicious has left its bloody trail on the pavement. There were also multiple eye-witnesses; both Ethiopian and non-Ethiopian, who will be able to testify to the heavy blows on his head and body that would have easily caused his death less than an hour later. Ethiopians throughout the world, many of whom are very connected to each other through new technologies, are closely watching this case. They are shocked by the amended charges, but still maintain hope in the integrity of the American justice system. In Washington DC alone, we have over 300,000 Ethiopian Americans who are good citizens, hard-working people and law-abiding. Most have come to this great American land after running away from the rampant injustice, lack of political rights and corruption within Ethiopia; a country where political alliances and cronyism regularly pervert justice. We ask you to show us an irrefutable example of American justice being served; even if it requires independent medical examiners, forensic experts, independent investigators, a change of court venue or other actions that may become necessary to create greater trust in the system and its fair, non-biased outcome. We in the SMNE, are standing together with other Ethiopians and justice-loving people to make sure that the rule of law is followed because this young man who died was not just an unknown Ethiopian immigrant or a young man with a Muslim name or someone who committed a wrongful property crime, but he is our American family member, one of us and above all, a human being created by God who did not deserve to die this way. We believe in humanity before anything else and that until justice is served to all; the justice of all is threatened. As an organization representing the Ethiopian people, we in the SMNE have already contacted a major law firm in Washington DC about some of the facts of this case. They have agreed to work with the SMNE, the Ethiopian community and the family as questions, difficulties or issues arise surrounding this case. We are also willing to assist your office as able. We look forward to hearing from you. For more information on the SMNE, you may view our website at: www.solidaritymovement.org. Phone: (202) 725-1616 Washington Post. The SMNE is a non-violent, non-political, grassroots social justice movement of diverse Ethiopians; committed to bringing truth, justice, freedom, equality, reconciliation, accountability and respect for human and civil rights to the people of Ethiopia and beyond. The SMNE has branches in the United States, Canada, the UK and chapters in various cities and countries throughout the world, including within Ethiopia. You can find the SMNE on Facebook or through our website at: www.solidaritymovement.org.